May 21-June 6th, 2011. Peru, on a 100 year anniversary of Machu Picchu's first publication in the National Geographic, a 10 day expedition sets out to trace the explorer Hiram Bingham's path to Inca's most sacred city. 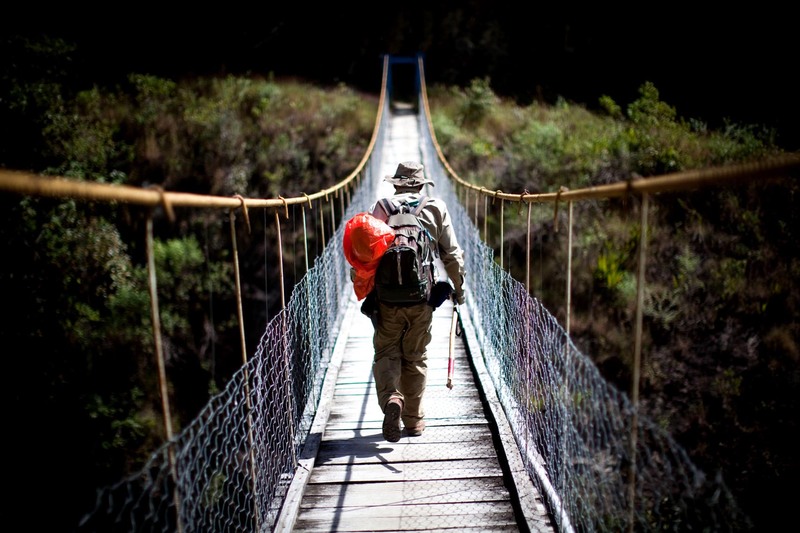 Here, having left Liactapata heading to Hydroelectrica station near Machu Picchu, crossing a suspension bridge John Leivers, 59, of Amazonas Explorer, a Cusco outfitter company. Piotr Redlinski for The New York Times.